Characters who kill or torture without at least an internal justification are crazy, not evil. You don't have a reason to kill people in the party or at random, so you don't. This doesn't make you nonevil.... There is an answer to this conundrum...kill the demon to send it back to the Abyss. Then your party can use its true name as the stepping stone to full control it can be. Then your party can use its true name as the stepping stone to full control it can be. I've worshipped Elemental Lords, Demon Princes, Dukes of Hell, Lich Kings, Ancient Dragons, Things from the Far Realm, even a talking book once. "And fear not them which kill the body, but are not able to kill the soul: but rather fear him which is able to destroy both body and soul in hell."-Matt. 10:28. Yes, the life threatening consequences of chicken or Russian roulette are deadly serious and not to be minimized. Orcus is a fictional demon prince and lord of the undead in many campaign settings for the Dungeons & Dragons fantasy role-playing game. He is named after Orcus of Roman mythology. 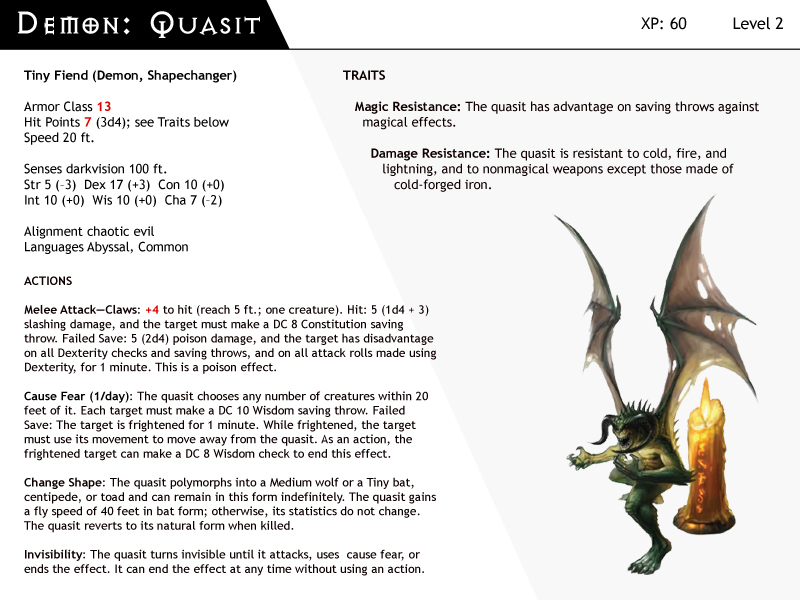 In addition, the Cacodemon was created from a cropping of a creature that appears on the cover of Manual of the Planes, a Dungeons & Dragons expansion book. The creature itself is known as an Astral Dreadnought , and was created by Jeff Easley for that book.